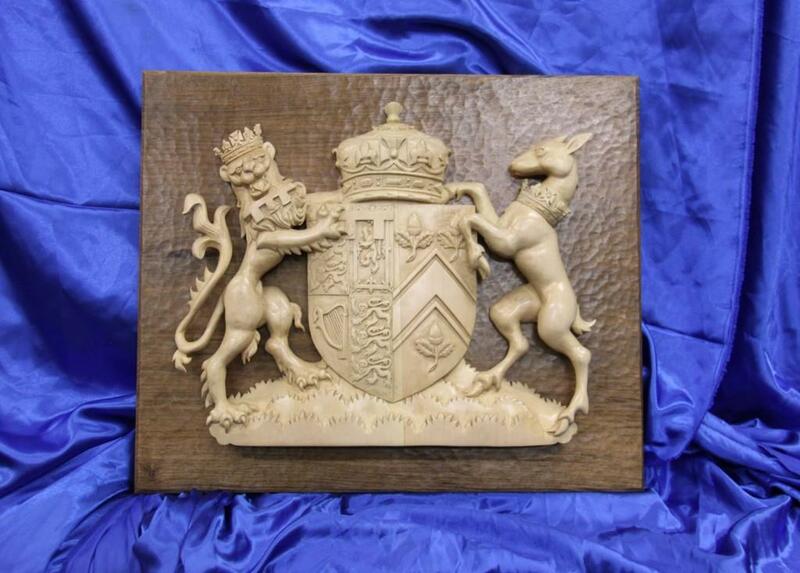 This wonderful carving of the Duke and Duchess of Cambridge’s coat of arms is by a very talented member of our local woodcarving group. 24 inches by 18 inches, carved in lime and mounted on walnut, the detail and finish is testament to the skill of George Robertshaw who continues to produce quality carvings time after time. This piece took 240 hours to produce. It is great to see that the craft and skill of woodcarving is alive and well in the United Kingdom. By the way, it may surprise you that George is only 15 years of age!